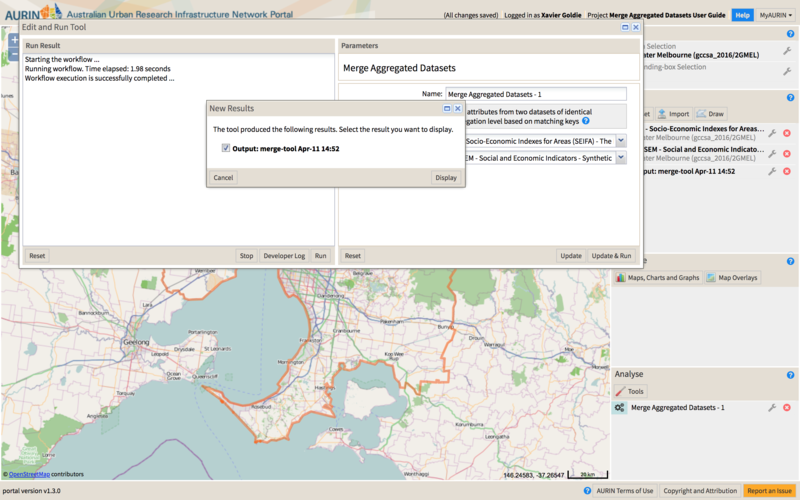 Similar to the Tabular Inner Join, the Merge Aggregated Datasets tool allows you to join together datasets of the same geographical aggregation (and in the same place!) 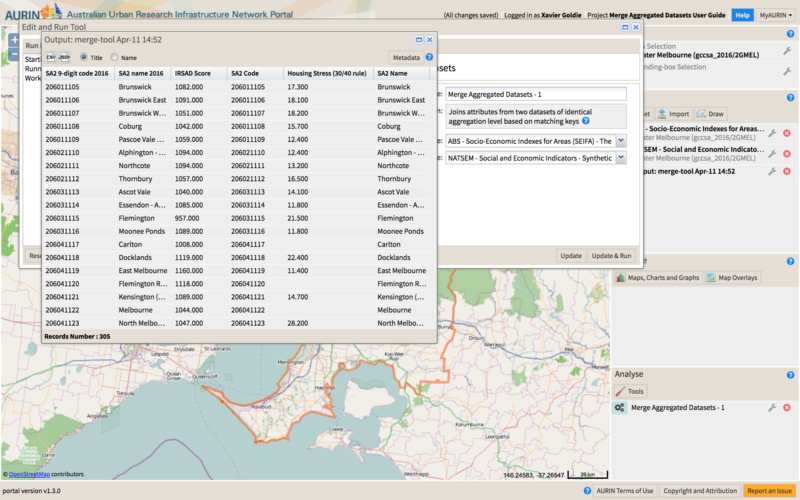 to allow you to compare and investigate the relationship between the two (or more) datasets. In this tool, if one row in a table does not have a corresponding row in the other table, it will be empty on that side in the output table (compare with Tabular Inner Join, where rows which do not have corresponding entries are excluded entirely). Merging tables allows us to continue with other processes such as scatterplot, which rely on variables being in the same dataset. 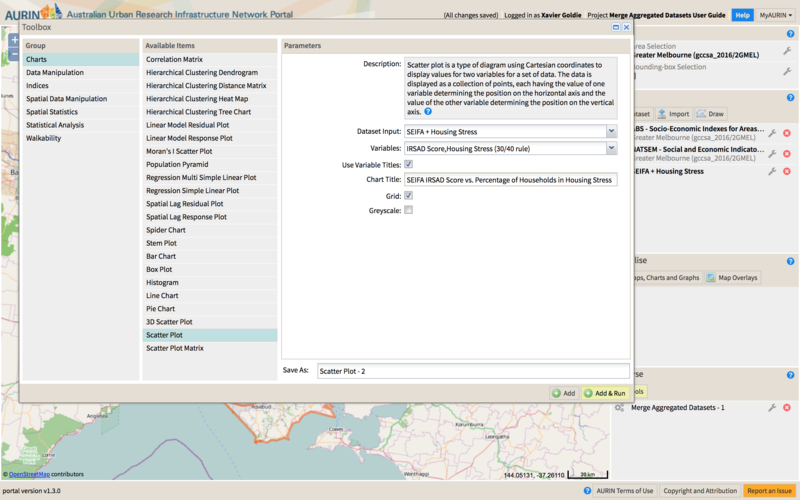 Once the tool has run, a pop up box will appear asking you to display your results (shown below). 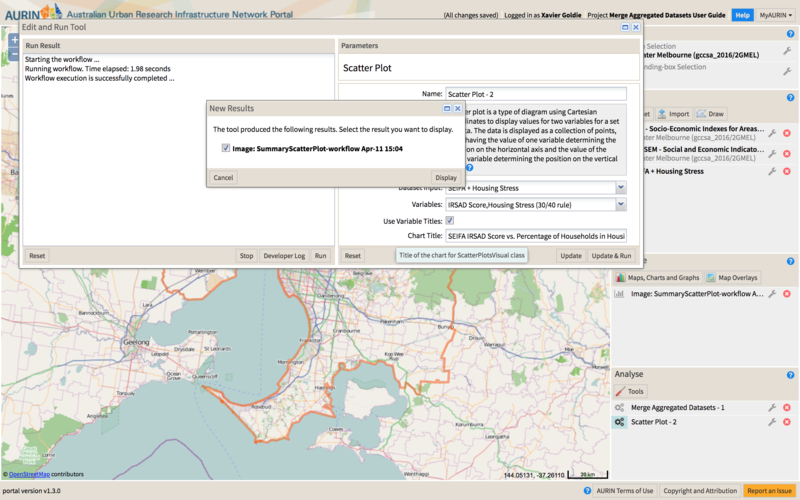 Click Display to open the output image. 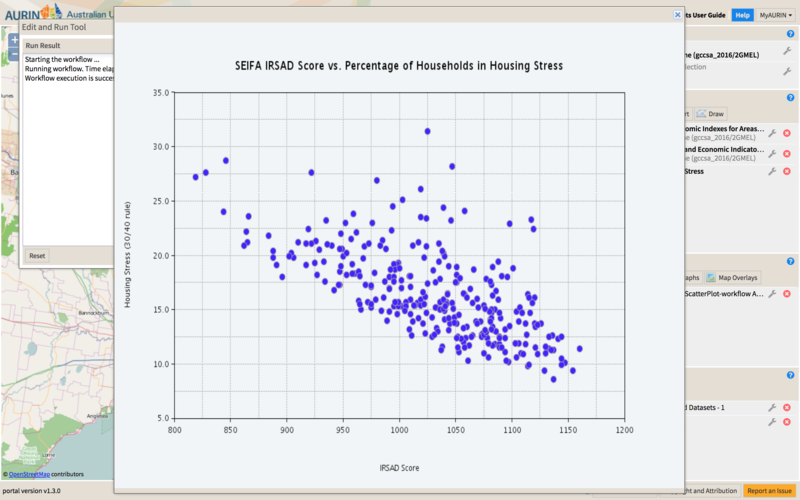 You will now see a scatterplot which shows the relationship between the IRSAD score (x axis) and the percentage of households in housing stress (y axis). You can see that as the IRSAD score increases (that is, as advantage increases) the percentage of households in housing stress decreases). 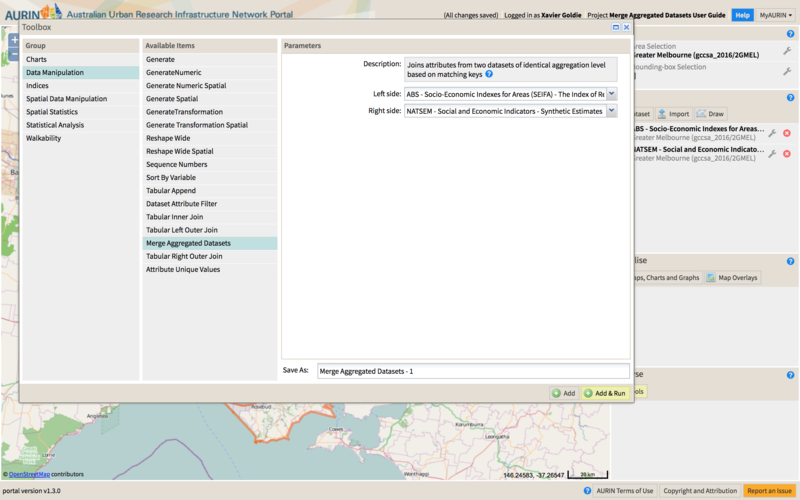 You can right click on this image and export it as a .png image for inclusion in a report or document.